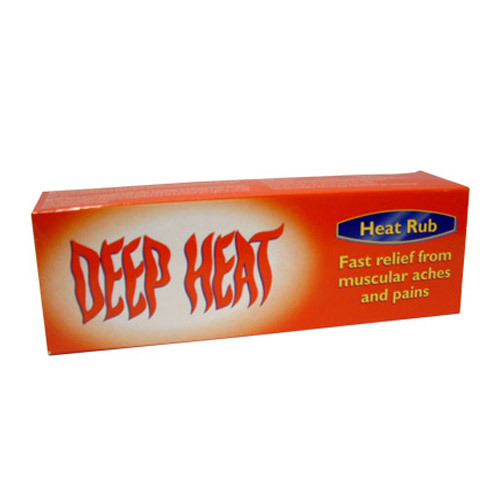 Deep Heat Heat Rub – Non-greasy pain relieving cream to be applied to the skin. 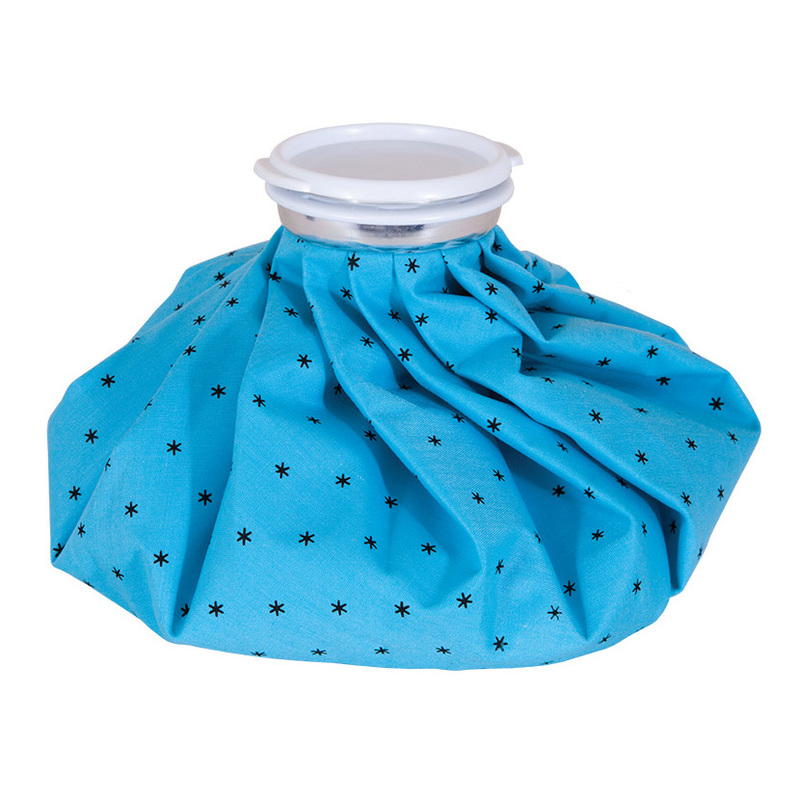 The penetrating warmth of Deep Heat helps stimulate circulation, relax stiffness and reoxygenate tense, painful tissues. Its counterirritant action makes it effective in the treatment of muscular pains and stiffness including rheumatic pain, backache, fibrositis, lumbago and sciatica. 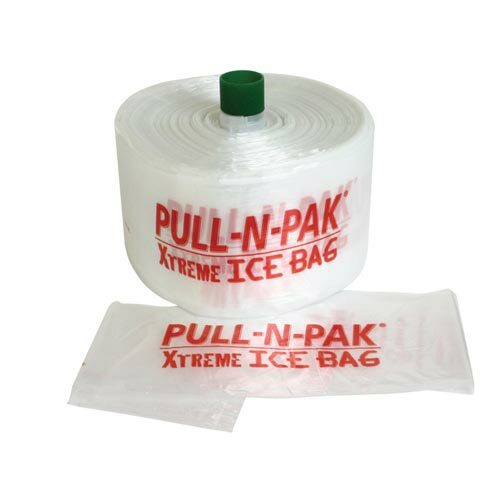 It can also be used for the treatment of chilblains, bruises and sprains and suitable for minor sports injuries. 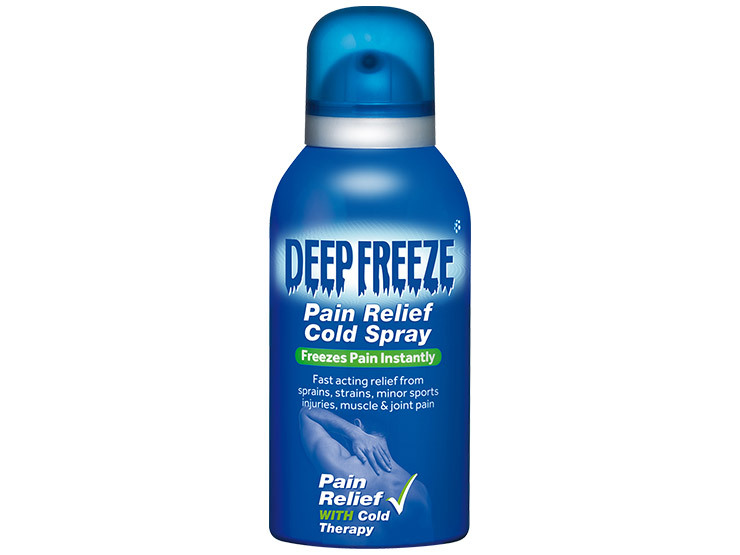 Fast relief from muscular aches & pains. Recommended for the relief of muscular pains and stiffness including back and rheumatic pain, sciatica, fibrositis, sprains and chilblains and can be used before or after exercise. Use this medicine only on your skin. Adults and children over 5 years should gently massage Deep Heat Heat Rub into the affected area until the cream is rubbed in. Apply a thin layer to the skin 2 – 3 times daily and wash hands immediately after use.